According to the Yale School of Forestry and Environmental Studies, there are over 130 million Americans who are alarmed or concerned about climate change. 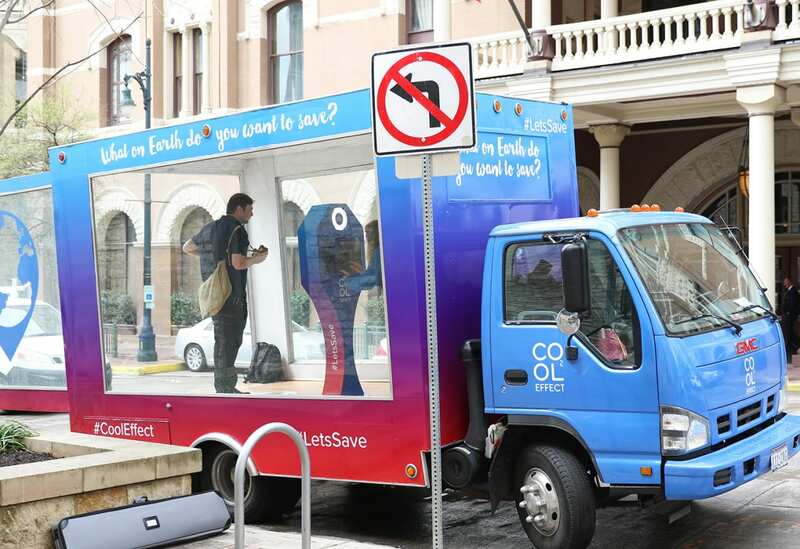 With that in mind, San Francisco-based nonprofit Cool Effect took to the streets of Austin from March 11-15 to unveil the beta version of its digital climate change platform to the environmentally friendly attendees of South by Southwest (SXSW). Through the platform, individuals have the ability to directly fund the highest quality carbon-reducing projects around the world and receive tangible updates tracking their progress. Any festival attendee willing to check out what Cool Effect had to offer could also snag free rides around Austin in one of the brand’s Toyota Priuses, which displayed Cool Effect branding on one side of the vehicle and a detailed image of planet Earth on the other. The brand also partnered with the Social Good Hub, a platform curated and produced by SXSW Eco, a South by spinoff conference celebrating the power of technology, design and business to drive global change. Cool Effect chief operating officer Marisa de Belloy was on hand to speak about climate change during a number of panel discussions. The brand additionally hosted a happy hour inside the space to keep the conversation going. “The reason that we wanted to do a live event is because we wanted to be able to actually talk to people,” says Jodi Manning, director of marketing at Cool Effect. “Technology can’t necessarily replace passion. Technology is an amazing tool and there are a lot of things about media that will help us find the right people [to target] but nothing can replace dialogue.” Agencies: Vector Media, New York City; Demonstrate PR, San Francisco. 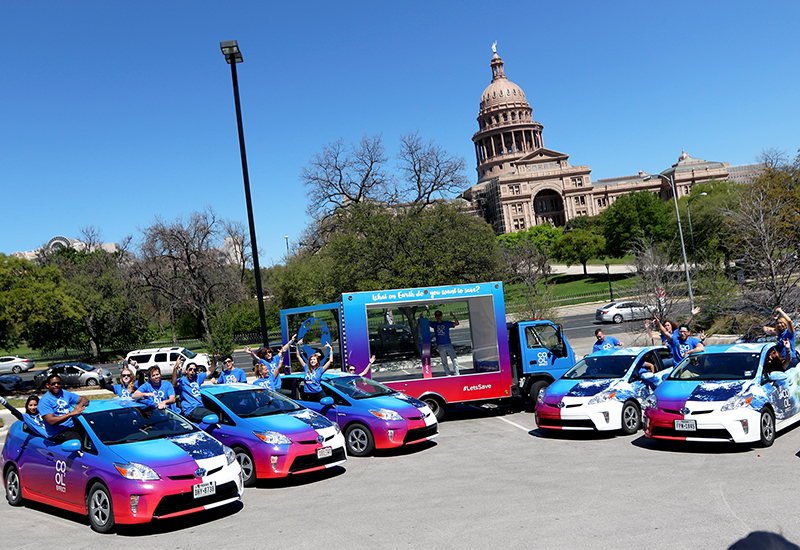 Cool Effect brand ambassadors show off branded vehicles outside Austin’s State Capitol building.